You’ll need your list password in order to proceed. If you don’t have it, please see "Getting your password" for instructions on how to get it. 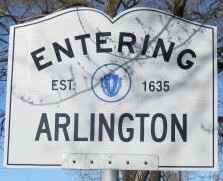 Visit http://www.arlingtonlist.org/options.htm. In the text box at the bottom, enter your e-mail address under which you are currently subscribed, and press the "Unsubscribe or edit options" button. On the page that appears next, enter your list password and press "Log in". On the page that appears next, find the section called "Changing your arlington membership information," enter your new email address in both fields, enter your full, real name if it is not already present, and press the "Change My Address and Name" button. In a minute or two, you will receive a confirmation email at your new email address. In the email there will be a link. Click on the link, then on the page that appears, click the "Change Address" button. The message will talk about being able to just hit reply, and that might work, but may systems now "mess up" the message more than they used to, and sometimes the confirming reply is not recognized. Clicking the link should always work if you have internet access. If you don't get the confirmation message, then either you miss typed your address, or your new address is blocking mail from the list (check your spam box). Another thing to try is to "white list" the mailing list by adding the following email addresses to your address book: arlington@arlingtonlist.org, arlington-bounces@arlingtonlist.org, and arlington-request@arlingtonlist.org, as these are addresses mentioned in emails from the list. (You should generally only actually send email to the first of these).